I Am Feeling So Much More Competent in the Saddle! Summer weather has definitely arrived here, hot, muggy, and lots of afternoon thunderstorms. NC has been in drought most of the past decade, but this year the rain seems to be determined to make up for the whole drought, we are 6 inches over “normal” instead of 6” below normal. Everything goes “squish” now. People love to tell horror stories. 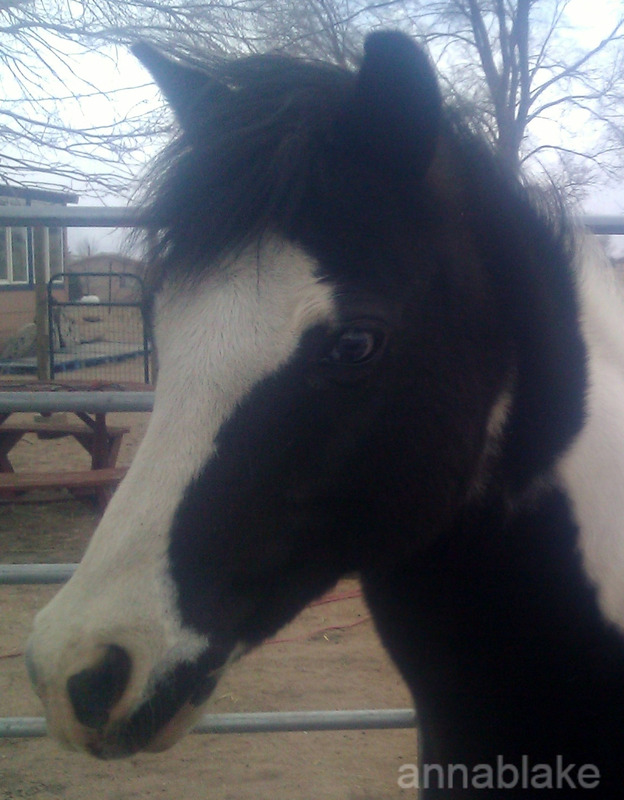 Once they know that I have horses, they can’t resist telling me about getting bucked off, run away with, or stepped on. Somehow this makes them very cool and the horses very stupid. A recent study in the UK found 91% of leisure riding horses had behavioral issues as reported by their owners. Since the weather turned into summer down here in NC (hot and muggy) I have been getting pretty tired riding. Two weeks ago the weather was particularly fine, cool and with low humidity, but Debbie was having a summer riding camp and I could not ride there. Then the humidity came back but after riding only once in ten days, I am quite happy to be back riding three times a week and getting tired! Dressage Fundamentals: One Day at a Time. Well time to get caught up. Last week's was a good start to all this, but maybe now it's time to get this figured out. Life got in the way, and we weren’t able to tackle the river again for weeks. There was high water one weekend, extreme cold on another and then there was the awful weekend that Ellen had to work. We really wanted to get past the river, and we were both frustrated. Firefighting, With Loaves and Fishes. STEP BY STEP'S SHOW JUMPING TALENTS MAKE GUEST APPEARANCE ON "SPEAKING OF HORSES"
Hey Ya'll, I just wanted to let you know I have blog at www.arabianaristocrat.edublogs.org, please check it out, I am still new so any advice, or feedback is appreciated! Thanks! This week has been full of rain down here in the Piedmont of North Carolina. We’ve gotten about four inches of rain over the last seven days. I just got to ride once. Freedom had a foal last night! 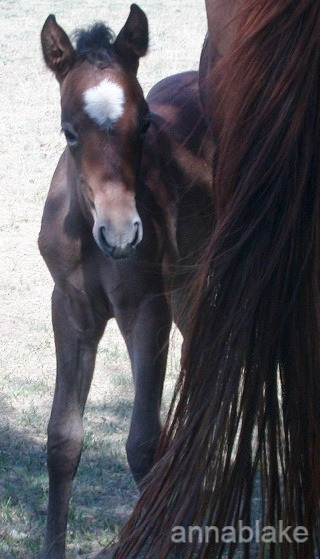 A beautiful filly! Go on mare stare to see them! So tiny and So precious! 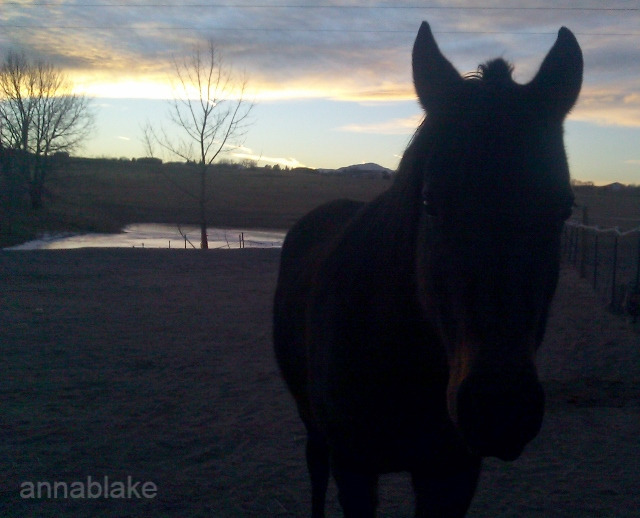 Have you ever been rescued by a horse? How old were you? Does it still happen? I’ve been thinking about Julie. Cool name, isn’t it? I make no apologies, I was 6 years old and thought it was the best name ever. I thought Angela was a good name too. Bucas To Flies: Buzz Off!